The EarthLab is an outdoor climate action park that advances a new model of experiential environmental education for the youth of the Chollas Creek Watershed , and the larger San Diego community. Leveraging the resources of leading regional education partners such as University of California, San Diego, the Fleet Science Center and the Birch Aquarium, and through the delivery of unique hands-on STEAM education, technical training and mentoring programs, doors are flung open to higher education, career pathways and quality jobs. The EarthLab places environmental education at the center of economic, energy, and health equity. Enhancing NGSS California Standards with a hands-on climate curriculum. For the first time in U.S. history, 50% of public school children are living in disadvantaged communities. Research shows that long summer breaks have a negative impact on the learning trajectories of low-income students of color. Extended learning opportunities are rare in Southeastern San Diego; and parents seldom have the financial resources to pay for these supplemental educational experiences. Groundwork is filling this gap, providing essential summer and after-school educational opportunities to underserved youth. Piloted initially with funding from the Environmental Protection Agency, Groundwork now offers annually a two-week Summer Learning Academy, designed to bridge the math/science gap of students entering sixth grade. 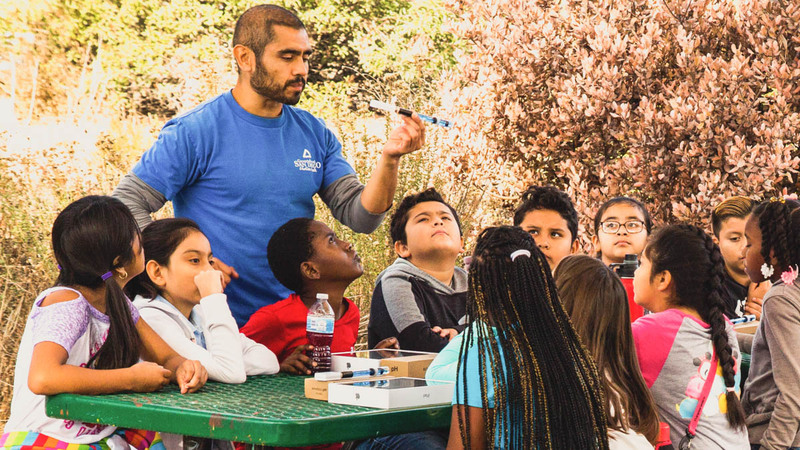 More rooted in the demonstrated success of informal STEM education, the program serves sixty students at the EarthLab, and addresses San Diego’s regional water quality and water conservation challenges. It uses math and science principles to inform student-led system designs and protocols to bring environmental benefits to their schools and neighborhoods. The program culminates in a student-led workshop to share with families and community leaders the responses students developed to the water issues. 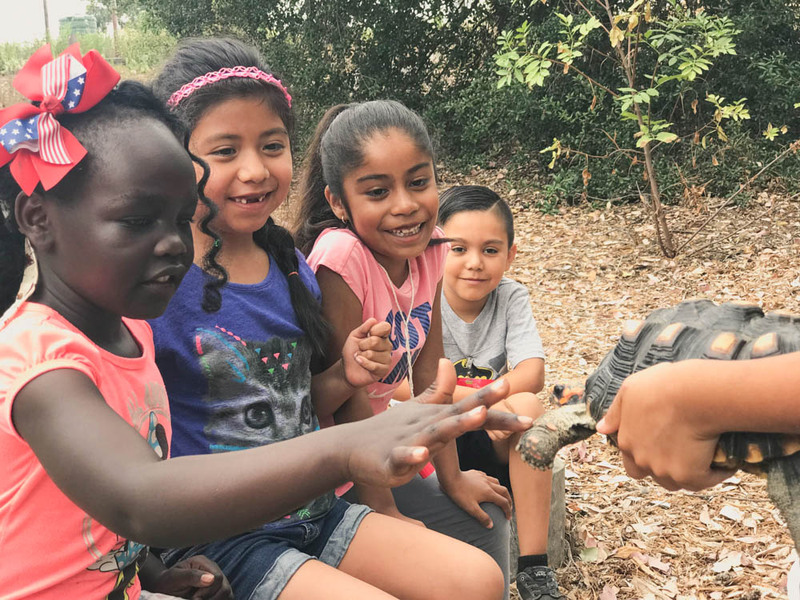 The EarthLab is a central component of the Summer Readers-Future Leaders (SRFL) community-based summer learning program offered to 240 rising second, third, and fourth graders attending elementary schools in Southeastern San Diego. The EarthLab After-school Academy invites middle school students to participate in a multi-disciplinary program informed by the unique interests and talents of those participating, and led by dedicated teachers and high school and university student mentors. Student and community groups from around San Diego are welcome to schedule a Friday field trip to the EarthLab. Although not as tightly aligned with NGSS as the school-based multiple visit learning program, field trip educational activities are carefully tailored to support the grade-appropriate learning objectives of teachers and/or the specific goals of a youth organization. Research shows that underserved urban youth have less exposure to green spaces, and thus do not have essential opportunities to develop environmental empathy in the first ten years of life. These communities are also disproportionately impacted by climate change, and have the fewest resources to adapt. Environmental justice demands that we invest urgent resources in these communities. Enhanced educational opportunities are essential. The research is clear: Getting kids into green spaces with hands-on field learning, produces better educational outcomes. This finding is particularly relevant in disadvantaged urban communities, where elementary and middle school students typically have far less access to green space than their wealthier suburban counterparts, and also experience the greatest STEM deficits in early education. Because these deficits are difficult to rectify after they happen, Groundwork is committed to delivering NGSS-aligned environmental education to urban youth at its outdoor learning center. Each day in classrooms, which are adjacent to the EarthLab, teachers pose the Question of the Day. Teachers elicit predictions from the students about the orienting question. Predictions often take the form of I think that . . . statements. Next, students leave the classroom for the EarthLab, where they observe either naturally occurring events, or demonstrations. Returning to the classroom, teachers engage students in discussions about the relations between their observations and their initial predictions. Based on their observations, students are encouraged to make claims, invoking evidence from their “trail walk” in the EarthLab. This juxtaposition of evidence and prediction results in a claim supported by evidence. EarthLab gets kids beyond the four walls of the school and into green spaces, into the neighborhood, with hands-on, practical, inquiry-based exercises to supplement the Next Generation Science Standards Science curriculum they are learning in the classroom. Instruction focusing on inquiry and direct experience with real world phenomena improves students’ reasoning abilities and increases students’ understandings of how science methods are used to create knowledge. By providing students with opportunities to participate in authentic science experiences, the integration of informal and formal learning enhances their potential to meet and exceed CCSS and NGSS and thereby support the development of a more scientifically literate society. Enabling students to actually solve engineering, and science problems tied directly to NGSS guidelines encourages real-life educational experiences in classrooms. An essential commitment in our experiential education model is that science is embedded in the everyday life of our communities. The EarthLab integrates a holistic approach to education, which includes both indigenous and scientific knowledge to understand and address urgent challenges like climate change. Cultural practices are integrated into our curriculum by translating traditional knowledges of indigenous communities into new models of experiential education, environmental practice, science and technology. For example, the Chollas Watershed is a Kumeyaay sacred environment. 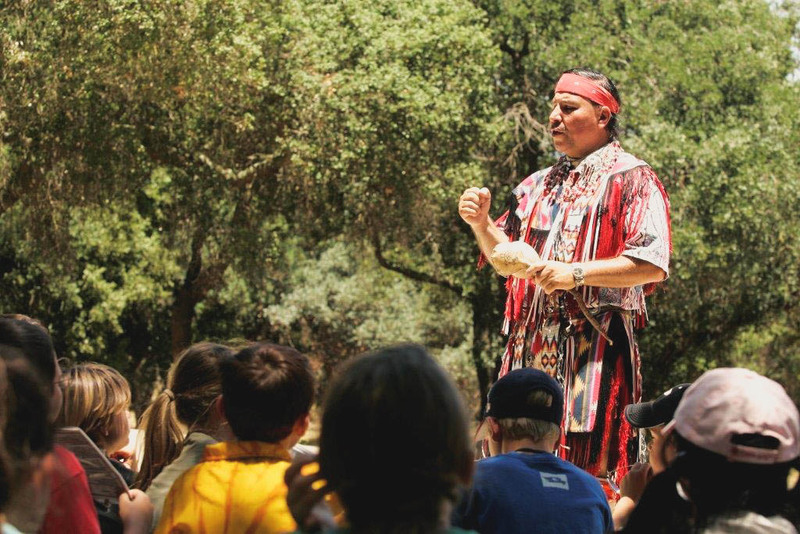 The EarthLab exhibits integrate the Kumeyaay worldview and knowledges, as well as the traditional knowledges of indigenous peoples across the globe, to enrich our understanding of the impacts of climate change, as well as solutions to it. Climate action is a ripe opportunity for decolonizing knowledge, introducing children to different ways of viewing the world, and addressing its most urgent challenges. We believe that children learn better when conventional STEM fields are combined with skills of visual literacy and aesthetic appreciation. 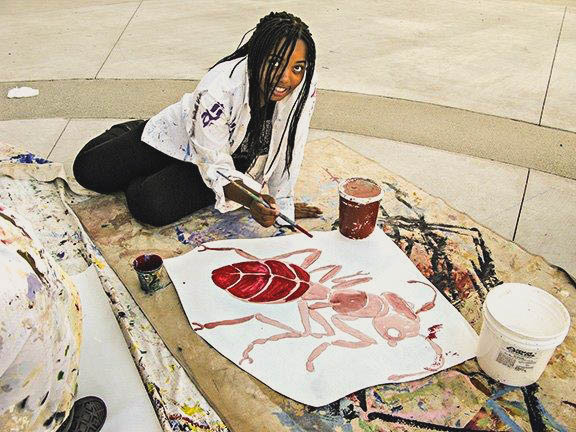 For us, linking arts and humanities to science and math is an essential component of bridging the achievement gap in underserved urban neighborhoods. Through artistic drawing and the recording of empirical observations in “science notebooks”, students at the EarthLab cultivate both visual and scientific competency. The EarthLab method also links learning and making to economic and community development. 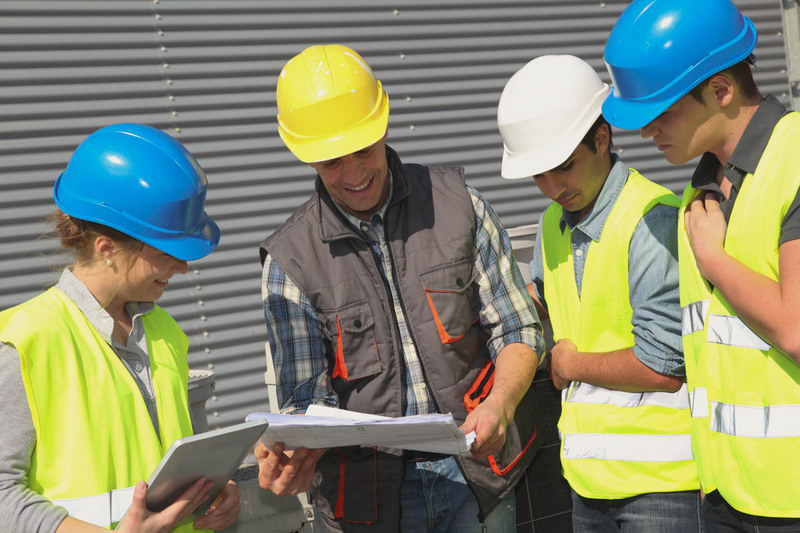 EarthLab’s education, training and fabrication programming can stimulate local economy and job generation, cultural and entrepreneurial activity, elevating low-income communities not as consumers but as creative producers. At EarthLab, researchers, students, young professionals, industry and neighborhood entrepreneurs, mentor youth and residents across the Encanto communities, cultivating the skills necessary to promote local economic development, through vocational training, but also by providing access to higher education to prepare the next generation of thinkers and doers in the green economy.